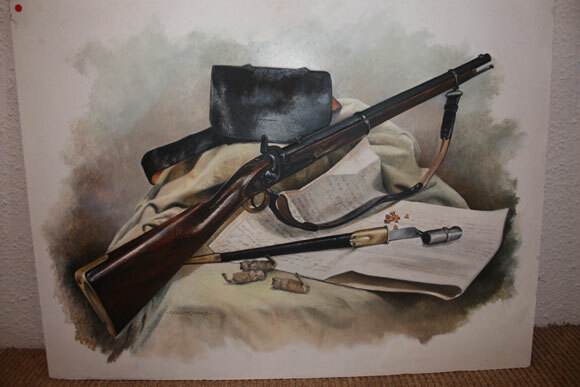 Chris Collingwood has produced a wealth of impressive artwork and military prints from the Napoleonic War, American Civil War, English Civil War, WWI, WWII and a variety of portraits of great military leaders, He also has produced superb paintings of Pirates which are a particular favourite of his. These superb paintings are also available as signed limited edition military prints for you to enjoy. The Colours Call online art gallery has a number of Chris Collingwood's military prints which you can view below. Along with this range of military prints, some of Chris Collingwood's original paintings are also on display in the gallery. 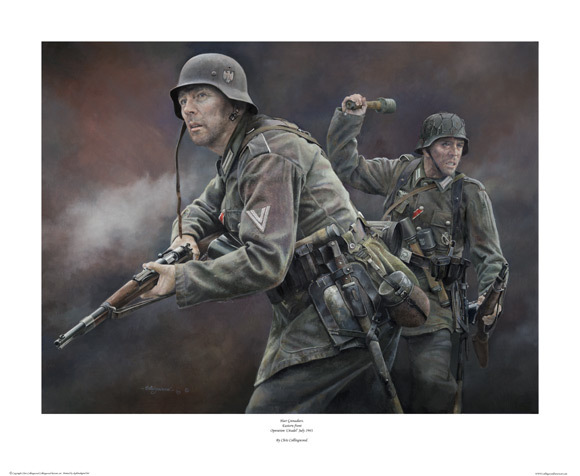 A brand new military art release from artist Chris Collingwood, this fantastic new portrait features two Heer Grenadiers on the troubled eastern front in 1943. This is also available as a limited edition print.